9 inch Karaya 5 Drainable Pouch with Belt Tabs is an ostomy pouch that completely protects the skin from stomal discharge by utilizing a unique Karaya 5 seal ring. Designed with flexibility and made with natural Karaya material, this odor skin barrier pouch is highly recommended for people with sensitivities to synthetic pouches. 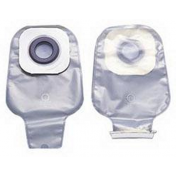 This ostomy pouch is constructed from a material that's flexible, shallowly convex and bacteriostatic. 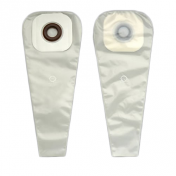 9 inch Karaya 5 Drainable Pouch with Belt Tabs offers protection from unwanted or undesirable odors via an odor skin barrier and offers ultimate security for ostomy patients. 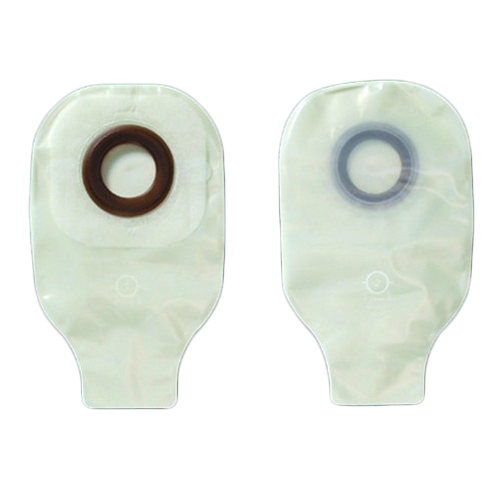 Comfortable, discreet, and ideal for people with sensitive skin, this is a secure and reliable ostomy bag. 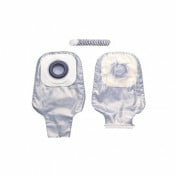 You may also be interested in similar Karaya ostomy pouch products, such as Hollister Karaya 5 Drainable Pouch, 16 inch. 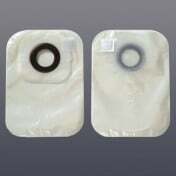 Utilizes a Karaya 5 seal ring to completely protect the skin from stomal discharge. Made from natural Karaya material, this ostomy pouch is highly recommended for people with sensitivities to synthetic pouches. A skin odor barrier ensures the elimination of unwanted odors while wearing this pouch, and belt tabs help the bag secure seamlessly to the body. Integral convexity, which is great for stomas that are flush, recessed, or retracted. Tape borders provide additional security to the attachment of the skin barrier to the integument. Porous paper adhesive is gentle on the skin for enhanced comfort. Recommended for home and post operative use. Can be worn with a swimsuit. Pre-sized skin barrier stoma allows users to apply it without any preparation. Product Numbers: 3232, 3233, 3234, 3238, and 3239. Do you carry the Kara Paste in the 4.5 oz tubes, stock number 7910? What is the cost? I also have Aetna Insurance; do you bill insurance? If you're looking for Karaya paste, we carry that. You'll find it on the following page: vitalitymedical.com/hollister-karaya-paste.html. We do not bill insurance companies, as we are an online retailer. We will email you confirmation of your order for insurance purposes; however. 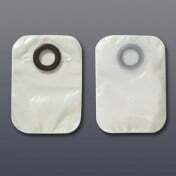 These pouches are really good for when you have raw skin around the stoma. I found that the pouch stayed on until I chose to take it off. I try to keep some of these for the times when my skin is irritated. The only bad thing is that there is no filter. Other wise a good product for those times when your skin is a little sensitive.